An Ingham County woman caught Zika virus after traveling to Barbados. County Health Officer Linda Vail says the virus isn't a threat to people in Michigan. "We don't have transmission going on in Michigan. We don't have transmission going on in Ingham County, what we have is travelers," Vail said. "People who have traveled to affected countries who I guess were bit by mosquitoes there." Vail says even if someone with the virus is bitten by a mosquito in Michigan, the species that live in this state can't transmit Zika. "Michigan, whether or not we'll ever be a favorable environment to this type of mosquito, is sounding very unlikely at this point," Vail said. And while the virus may be linked to birth defects when pregnant women are infected, for everyone else, it's not dangerous. "The symptoms of Zika virus are very mild, very self-limiting, people recover without incident, that's pretty much the course of things," Vail said. In fact, by the time the Zika test came back positive for the Ingham County woman, she had already recovered. She was not pregnant. "We're just getting the result, this person was sick a while ago and is no longer sick," Vail said. For pregnant women who have traveled to countries with the Zika virus, Vail recommends they get tested, whether they show symptoms or not. Symptoms include fever, rash, pink eye (conjunctivitis), and joint aches. For men and women not of child-bearing age - "It's not like we're urging them all to go in and get tested, for what? There's no treatment, it's going to resolve itself in a number of days," Vail said. Above all, people in the area should stay calm about the virus, she said. 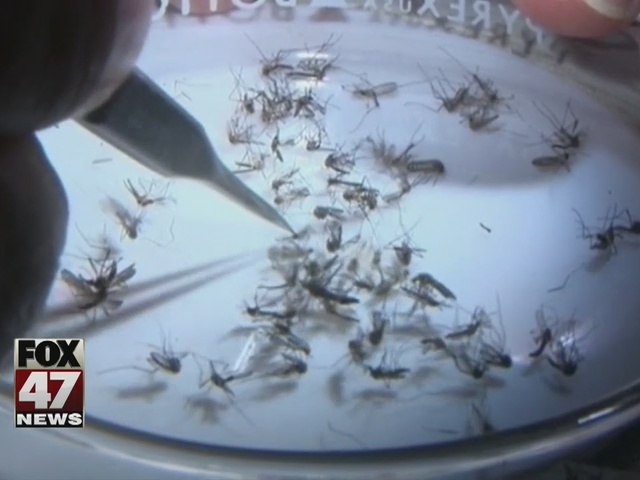 The Ingham County Health Department recommends anyone traveling to South or Central America to use plenty of insect repellent and wear long sleeves and pants when outside. That will help protect from Zika and other viruses transmitted by mosquitoes.